Senior leaders are highly ambitious for the pupils…plans for action to make sure that every pupil makes the progress of which they are capable. 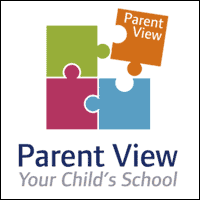 Parent View We encourage our parents and carers to fill in the questionnaire to let Ofsted know your views about your child’s school. You will be asked 12 questions and your answers will be anonymous. If you would like to complete the survey in school, we can make computers available on Parent’s Evenings with guest accounts. Below is a table showing our most recent questionnaire results based on 60 responses. I am really pleased with my child’s progress at this school. I always recommend this school. My son has come on a lot since starting. I was nervous at first as he only turned 4 a month before school but his teacher has really helped him to come on. I can’t praise the school enough. I can see what a marvellous school St John Fisher is and how each child is truly valued and cared for. Teaching and leadership staff are amazing. Keep up the good work. My child is happy and enjoys school. He is listened to by his teachers and feels safe. My child is given opportunities to flourish at St John Fisher, he is happy and feels valued. We aim to continue to support all of our children and families so that they are able to grow, learn and flourish at St John Fisher. We really appreciate the comments made; they help us to celebrate what we are doing well and focus on some areas that we can improve even more. The school day begins at 8.55am and doors open at 8.45am to help ease congestion at this busy time. Staff always aim to ensure that doors are open on time at both start and end of the day. We will continue to monitor this in the Summer term. We have found the school helpful and understanding regarding our child. We have particularly found the courses for parents helpful. Very pleased with all aspects. Thank you! I have seen a major improvement in all aspects of my children’s school work and behaviour- they really enjoy their time in school. The staff have helped my child achieve her goals. Keep up the good work. Brilliant communication channels for parents which the staff use efficiently. Healthy tuck- shop was a fantastic idea and should be promoted more. School will continue to respond to your concerns as promptly and professionally and aim to ensure your child is always happy and safe in school. All staff will continue to have the highest expectations for your child and will provide support and challenge to enable them to reach their goals and potential. We will provide Healthy Tuck Shop daily and provide a variety of choices, especially more variety of fruit as the season allows. Health Champions will create some posters to advertise the Tuck Shop around school. At present…school activities appear to be aimed primarily at parents who do not work or not working full time. More notice for events would make it easier and possible (for parents) to support. We will continue to update the school diary on the newsletter and app as far in advance of events as possible. We will run some of our parent events at a later time to enable working parents to attend. Leaders will monitor teaching and learning throughout the school to ensure the standard is high. Leaders and staff will continue to be available and approachable to all parents and carers, especially at the start and end of the school day.